Receptionists normally provide the first point contact and information for customers or members of the public who contact or visit an organisation. This involves dealing with a variety of enquiries on the phone, face to face and by email. A receptionist will be required to keep up to date with the organisation's activities, news and operations in order to provide the most up to date and relevant information to clients or the public. 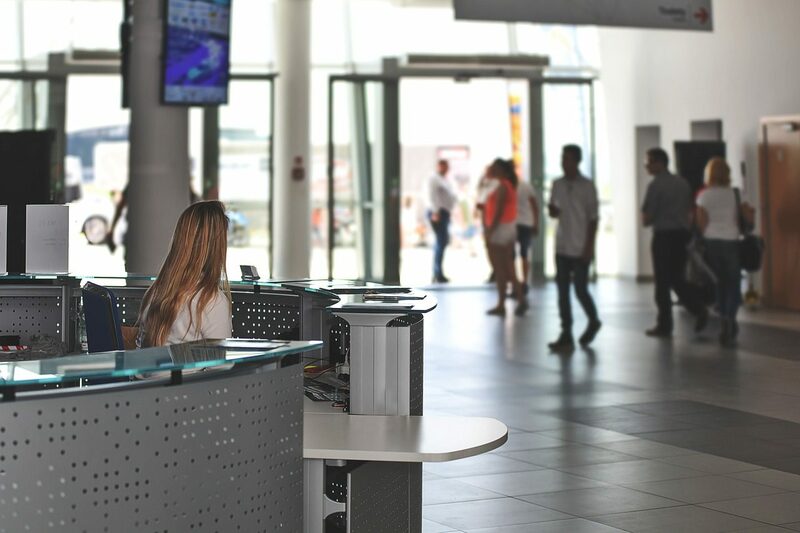 Receptionists often provide a good deal of resource towards general administration, clerical duties and day to day activities for an organisation and may act as a liaison between the employing organisation and service providers, for example - arranging maintenance or cleaning services. A receptionist often occupies a front desk or 'font of house' style position in premises rather than residing in a specific office. You may find it useful to have GCSEs at grades 9 to 4 (A* to C) in English and maths. Employers also value experience, which you could get by temporary work or volunteering. Getting a qualification in reception skills or business and administration may also be helpful. You may need a background check with the Disclosure and Barring Service (DBS). With training and experience, you could move into a senior receptionist or personal assistant (PA) role. In a GP surgery or health centre, you could train to become a medical secretary or a practice manager.